[Reviewed] The top 5 MyProtein supplements available in 2019! If you haven’t heard of them already, where have you been hiding? MyProtein have now been giving us gains over 11 years now and has grown into a huge Sports Nutrition brand. From initially conquering the UK, they are now the number one brand in Europe. They are now expanding to the USA and other continents across the globe in the bid to become the biggest Sports Nutrition brand in the World by the year 2020! What we like about MyProtein is that they are very affordable, yet still continue to give you the quality of product which you need and want. Also the packaging of the products, especially the supplements we are talking about below are not in big hefty tubs which just get in the way. The bag is nice to fold and pop in your gym bag with no fuss. Here at Protein Hunter we have broken down what we feel are the top 5 supplements which My Protein have to offer at this time. Lets take a look at our top 5…. Is Impact Whey Protein for me? What Key Benefits do I get from Impact Whey Protein? What do I get with Impact Whey Protein? When Should I use Creatine Monohydrate? What Do I Get with Creatine Monohydrate? What is Hard Gainer Extreme? Is Hard Gainer Extreme For me? What do I get with Hard Gainer Extreme? Is Impact Diet Whey for me? What do I get with Impact Diet Whey? What Is The Recommended Use Of Pulse V4? What Benefits do I get from Pulse V4? What Do I get from Pulse V4? The Impact Whey Protein is a big seller in their range. We have used this numerous times along the years and we feel you are getting great value for money whilst at the same time a great product. Impact Whey Protein is suitable for anybody who has an active lifestyle and is looking to meet their daily individual protein needs and requirements. It doesn’t really matter whether you are an elite athlete or just a regular gym addict like us, Impact Whey Protein is an must have product in everyone’s regimen, this is due to its major role in muscle growth and repair. Impact Whey Protein is a high quality product which ensures your muscles are provided with enough protein throughout the day. The high protein content of this product will help contribute to the growth and maintenance of muscle mass. Impact Whey Protein is just 103 calories per serving and is available in over 50 flavours, so there’s no complaining they don’t have your flavour! Add a few samples or small pouches to your order to taste a few different flavours. You might find a hidden gem! Creatine Monohydrate is a great product for those who are putting themselves through vigorous workouts whether that be in the gym or elsewhere. It is one of the most researched forms of creatine in the world and has been thoroughly tested and ethically proven in several performance studies which include both elite and recreational individuals. 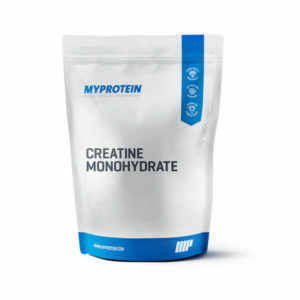 MyProtein Creatine Monohydrate is suitable for anyone taking part in prolonged or high-intensity exercise and who is looking to improve their physical performance in general. My Protein recommend…. “consuming 3-5g of Creatine Monohydrate immediately pre or post work-out with a whey protein and carbohydrate blend to maximise its uptake by the muscle. Alternatively, it may be mixed with water, milk or juice and consumed immediately after mixing”. “The 5 day loading phase – New users of creatine monohydrate are recommended to first follow a loading phase to reap its maximum benefits. Supplementing 5g (1 scoop) four times a day at regular intervals is recommended to saturate your muscles with creatine before commencing with the standard 3-5g a day recommended use”. 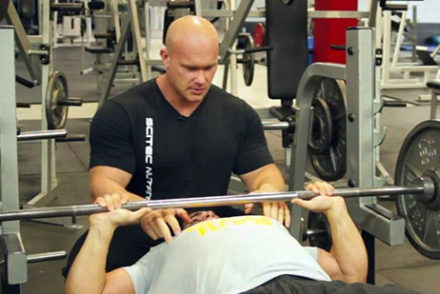 Are you finding it difficult to put on that size you work tirelessly for in the gym every day? Then our third product review from My Protein could be right up your street!! This great product has a whopping 382 calories per 100g serving. MyProtein Hard Gainer Extreme contains 4 different blends of protein sources which include whey protein concentrate, milk protein concentrate, hydrolysed whey protein and calcium caseinate. So your basically getting a number of proteins lumped into one shake here! Think of all those gains! Basically as you have probably already worked out, if you are looking to find some gains then this is right where you need to be. This product contains 32 g of protein per serving which in turn contributes to the maintenance and growth of lean muscle mass. There is no particular set time to have Hard Gainer Extreme it is recommended to be taking throughout the day to increase the daily overall calorie intake. Impact Diet Whey is another product we have tried before and again this is a great product. For us, this is the best tasting shake My Protein do, especially the strawberry shortcake flavour!! Impact Diet Whey contains a unique blend of Whey Protein and Milk Protein Concentrate combined with a low carbohydrate content sourced from low Glycaemic Index carbohydrates. MyProtein Impact Diet Whey also has a number of added ingredients including Green Tea Extract, Acetyl-L-Carnitine and Essential Fatty Acids, all of which in turn are good for when trying to burn that body fat!! Impact Diet Whey is ideal if you are looking to increase your daily protein intake but at the same time not consume unnecessary carbohydrates, fat or calories. Impact Diet Whey is ideal for anyone looking to lose weight, reduce body fat levels but at the same time maintain or increase lean muscle mass. Again as with the MyProtein Extreme Hard Gainer, It is advised to consume Impact Diet Whey throughout the day to increase daily protein intake. As mentioned above Impact Diet Whey is a shake which can be consumed at any time during the day, it can also be used as a meal replacement (however don’t replace all meals with this- not advised!). Our advice would be to use this as a meal replacement when there is no time for you to get a snack or meal, or maybe when at work on travelling and getting your hands on solid foods may be difficult. We have often used Impact Diet Whey when making our own smoothies for the day and often have lumped a scoop in our morning oats or yoghurt! The Pulse V4 is the most powerful pre workout of the My Protein range, again this has been heavily researched before going into our gym bags! Each 17 g serving of Pulse V4 gives out 9.2 g of My Protein’s ‘Premium Pre-workout Blend’. This consists of combining Creapure, AAKG, Citrulline Malate and Beta Alanine, plus a rich amino acid profile. This crazy pre workout also contains 168.4mg of caffeine per serving!! My Protein recommend that you add 200-300ml of water into a shaker. Then add 17 g Pulse V4 powder, give it a good shake and then consume and enjoy. The less water used the stronger the taste will be!! Please only use once daily!! This product comes in three great flavours which we have had the pleasure in trying them all! They are: Berry Blast, Sour Apple and Tropical Storm. It’s down to personal preference which one you might prefer but we like Berry Blast the most. Pulse V4 will give you that extra energy and pump you are needing during intense workouts. It has been proven to increase energy and physical performance substantially in high intensity exercise. Basically we know from trying it ourselves, if you want a crazy pump and that extra energy then look no further than Pulse V4! That’s it for our top 5 supplements from the My Protein range in 2018. We have sampled many of their great products but we really feel that these are the top 5. If not, let us know which MyProtein products you prefer in the comments below! 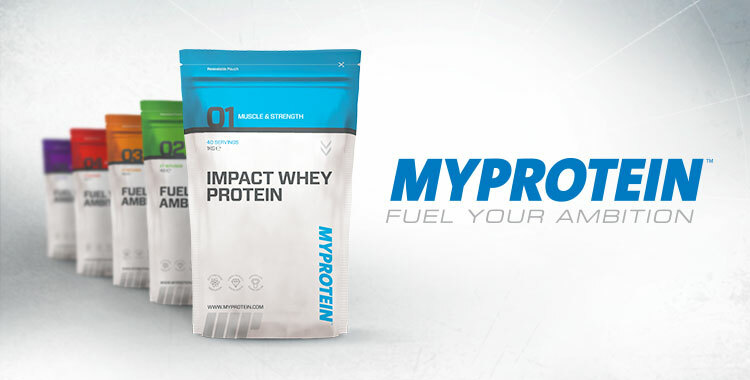 MyProtein is a huge Sports Nutrition brand and have an abundance of products available, not just supplements, but clothing, accessories and much more.